In this version, replacing “portals and blogs” with “publishing and Delve Boards” reflects O365's move to a simpler publishing model, optimized more for crowdsourcing than control, with Delve Boards being Exhibit A. The new Groups will provide group collaboration for teams that prefer either type of conversations: email or social feeds. 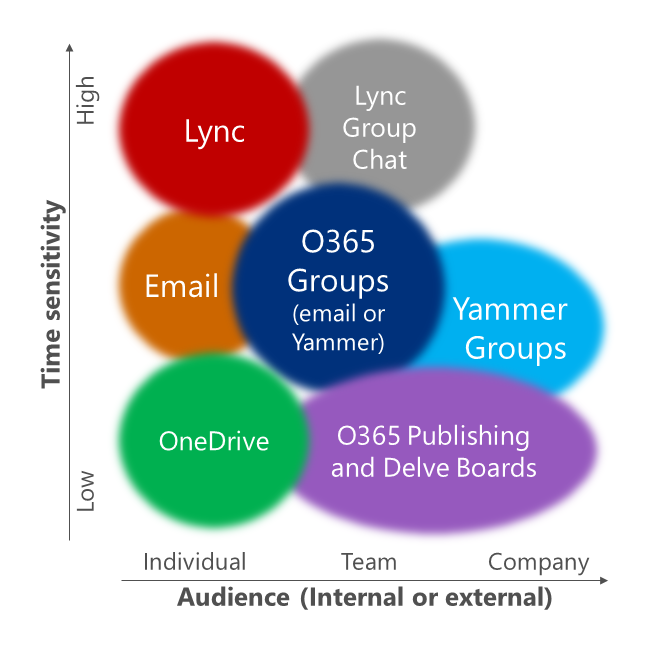 But standalone Yammer groups are still there, and are ideal for larger, company-wide communities of practice. Persistent chat, while only available on-premise, is a scenario that’s seen a resurgence with services like Slack. What is it that drives this question about what to use? Do we really not understand the tools, or is it that we don’t see how they help us achieve our business goals? Switching from email to social networks seems to be particularly tough, as the benefits are largely collective rather than personal. The essential difference is transparency, and that can produce fear as often as motivation. Thanks to Paul Agustin, Cynthia Beldner, and Matthew Ontell. 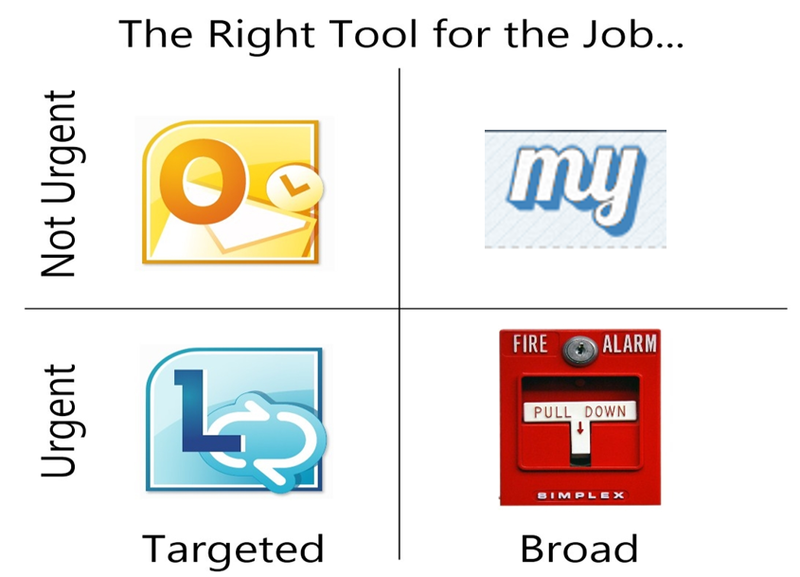 Improving employee engagement with better communication, transparency, and responsiveness. Customer Success Manager at Microsoft UK.